Initially classed as a turntablist, Lucas Abela's work has rarely resembled anything in the field, early feats saw him stabb vinyl with Kruger style stylus gloves, bound on electro acoustic trampolines, drag race the pope across the Sydney Harbour Bridge, perform deaf defying duet duels with amplified samurai swords, hospitalised by high powered turntables constructed from sewing machine motors, record chance John Peel sessions with the Flaming Lips, become Otomo Yoshihides' favourite entry into his Ground Zero remix competition; 'Consummation' (even though instead of sampling the CD he destroyed it using amplified skewers!). Today these turntable roots have became almost unrecognisable, evolving into his infamous glass instrument, the shards being nothing more than a giant diamond tipped stylus you vibrate with your mouth. 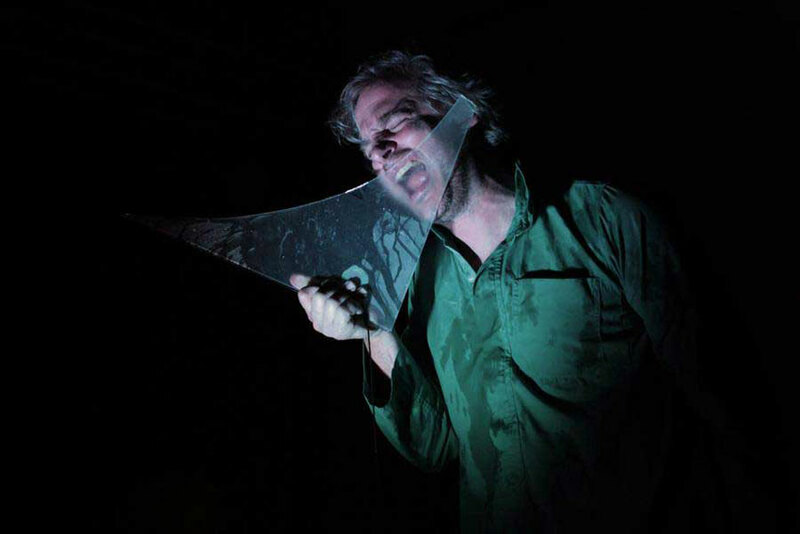 He has been perfecting the instrument since it's invention in 2003, perfroming internationally as Justice Yeldham and with his glass/ drums/ piano trio, Rice Corpse and now simply as Granpa. He also founded the irreverent dualpLOVER organisation, promoting, touring and releasing stark music from Australia and abroad. After a long performance career his ideas have morphed into participatory sound installations, or more accurately he builds large-scale instruments for musical play devised to switch roles between audience & performer. To do this abela uses situational aesthetics to engage people to inadvertently perform his music. Works like Vinyl Rally (RC cars raced on vinyl), Mix Tape (accessible audio tape), The Temple of Din (Pinball/Instrument hybrids), Paku Paku (real world pacman) & IV:BPM (organic drummachine orchestra) reflect this desire to create interactive instruments that are in line with his philosophy that experimental music is more rewarding to play than to observe.